Huddersfield brand agency The Engine Room has been shortlisted for a UK design award – with hopes of making it their sixth accolade in as many years. Having scooped the overall Grand Prix accolade and a gold design impact trophy at the DBA Design Effectiveness Awards in 2017 – as well as silver and two bronzes in the 2013, 2014 and 2016 competitions respectively – the Mirfield-based team has now been unveiled as a 2019 finalist. 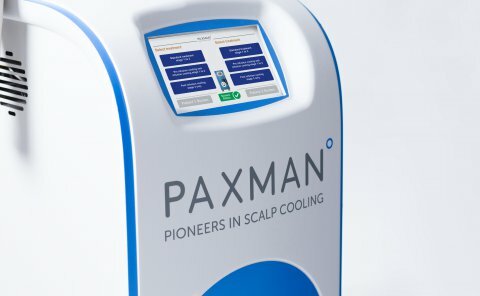 The latest achievement celebrates The Engine Room’s strategic rebrand of scalp cooling experts PAXMAN – giving it a new, global identity as well as sales, medical, and technical literature, a fresh website, video profiling, engaging case studies and service design input. 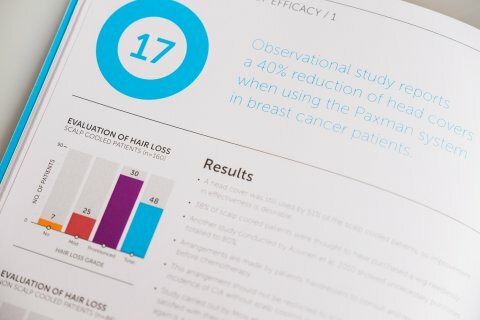 Since first collaborating in 2015, the two organisations have made impressive strides together to reposition PAXMAN and its pioneering technology for cancer patients undergoing chemotherapy. Returns on investment have seen PAXMAN’s global turnover almost double in 2018 with their US growth rate recording a rise of 465% rise between 2017 and 2018. Their return on design investment is over 35:1. The DBA Design Effectiveness Awards recognise the difference design makes and the measurable and evidence-based business impact of design. The Yorkshire duo’s rebrand project has been rigorously judged across three rounds by industry leaders – including CEOs from FTSE100 firms – ahead of the final ceremony this summer where winners will be handed bronze, silver or gold and the prestigious Grand Prix overall award. Lesley Gulliver, managing director of The Engine Room, said: “These awards are so important to us because they underline everything we want to achieve – showing that design can make a measurable impact for a client and the bottom line of the business. The Engine Room and PAXMAN will be competing against more than 50 other design projects from across the country for the coveted gongs. Kathryn Daniel, head of marketing at PAXMAN, added: “From the moment we engaged The Engine Room in 2015, we have never looked back. We are incredibly proud of our authentic, world-class brand – which is now market-leading globally – and thanks to The Engine Room, design is central to everything we do. The black tie awards ceremony takes place on June 12th at The Royal Horticultural Halls in London.